Stock Low : 1,008 items left. Black: cotton elastane. Rinsewash and Mid Wash: cotton/polyester/viscose/elastane. Find your best fit yet with Capture’s High Waisted Jean, a comfortable and flattering style that will slim and smooth your shape with its high waist and breathable stretch denim construction. Available in three staple shades, these must-have jeans feature a number of fashionable and functional details like a fly front with button fastening, belt loops and five pocket styling. 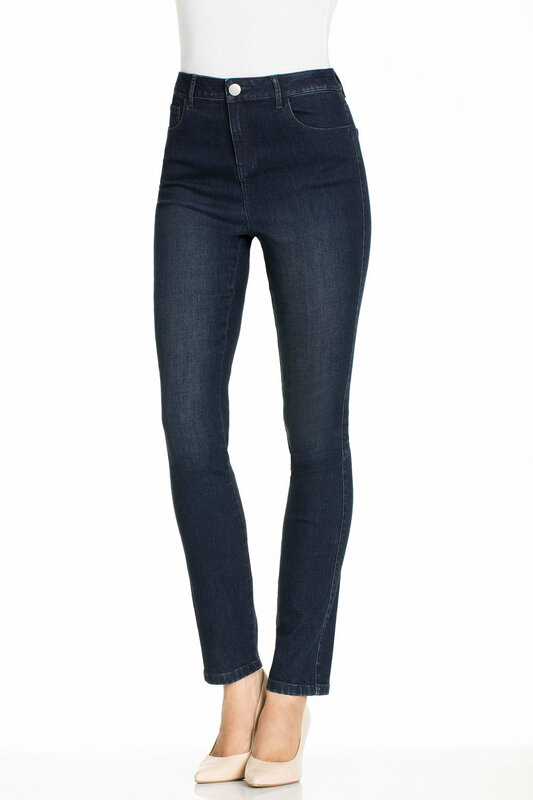 An essential addition to your 24 hour wardrobe, these jeans can be worn from work to the weekend and day to night. Keep it casual with a tee and sneakers, or dress them up with a blouse and heels.